Hobbyists are getting a lot of love, with big companies like Microsoft, Intel and IBM releasing circuit board computers to conceptualize and prototype products. Imagination is now entering the fray with its $65 Creator CI20 computer, which takes some of the hassle out of DIY micro-computing with wireless Internet, a preloaded operating system, and 1080p graphics capabilities. The CI20 is a full-function computer with Wi-Fi capabilities that runs on Android 4.4 or Debian 7 Linux. The computer can be used to make smart electronics, robots and home automation products, the company said. A range of circuit-board computers, headlined by the $25 Raspberry Pi, have helped do-it-yourselfers turn hardware concepts into reality. Such boards have been used to build wearable devices, robots, drones, medical devices and other smart electronics. Each board is different in nature. A standout feature in the Creator CI20 is a powerful PowerVR SGX540 graphics core that can handle 1080p video at 60 frames per second, so it’s possible to run high-definition video through the board. The Wi-Fi b/g/n feature helps stream multimedia in and out through the board. Graphics companies Nvidia and Advanced Micro Devices also have released similar computers with powerful graphics cores, but those are more expensive. Nvidia and Imagination compete for graphics in smartphones and tablets. It’s also possible to attach a monitor to the Creator CI20 through an HDMI port, which supports a 2K resolution of 2048 x 1536 pixels, which is slightly higher than standard high-definition. It’s important to note that the CI20 comes with a processor based on a MIPS architecture, which is used in low-cost mobile devices, TVs, electronics and wearables. MIPS is owned by Imagination and the architecture is different from ARM’s, which is on a majority of development boards, and x86, which is on boards from Intel and AMD. Program compatibility issues in Android tablets have plagued MIPS processors in the past. Other features on CI20 include 1GB of DDR3 RAM, 4GB of storage, a USB port and an SD card slot for expandable storage. It also has an ethernet port, though it can’t hit Gigabit speeds. 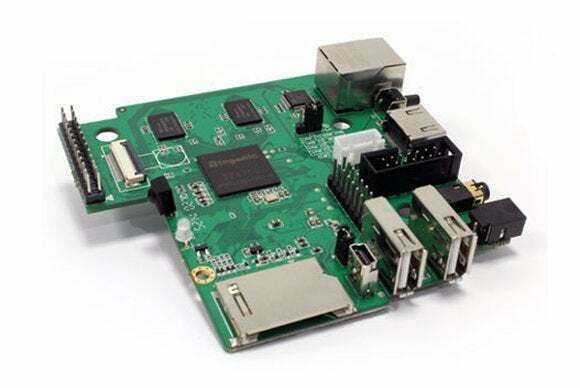 The MIPS processor is 32-bit, and the board has a range of expansion ports and connectors such as UART, GPIO, I2C, SPI, which makes it possible to attach more electronics. The company did not immediately comment if CI20 supported Arduino, a popular software and hardware development platform used to define the functionality of hardware. The board will first become available in Europe by the end of January, Imagination said. A smaller MIPS-based development board called Newton2 is available to develop wearables, though its graphics capabilities are weaker than that of Creator CI20.